are their scenes so few that they cannot afford to show us a single pic too? Lol! Dying here of laughter! We are all impatient to see them together , but the production is really playing hard to get and see! Lol. Let’s be patient ! mean time let’s enjoy this breath taken views! Just WOW! The team from MOA might be filming here! But actually now I don’t have any expectations until October end...because right now HB has a MV out and another one coming next month. Also, with Netflix collaborations like MS they don’t seem to start publicity lots before telecast......so I am good.. Yes def. Also she's Taejoon's gf and he's bff with Chanyeol .. but that concert already happened and I think she didn't go otherwise we would've seen photos of her or heard about her going. @Lolastarlight1 on twitter too....fount of everything related to the drama and often the first one..
Me waiting! When I see them Lol! @alcides14ahjumma.... I think you have a long wait as far as seeing HB-SH together are concerned, my dear friend! Wow, just Wow! Let me see Shin Hye , mister cameraman move to the left! Lol! HB is looking in that direction maybe Shin Hye is there? Lol! I am losing it! Bad bad TVn . I hope after HB’s movie promotion we can see them together! Uhhhh! Indeed, this drama is worth to watch.”! These images, kind corrupting my innocence ! (Lol) ( pervert ahjumma . Lol). CAN HELP, he looks hot! what have they done to us...turning into a stalker??? Lol! He does look hot! Our eyes will be full of hotness from the casts! November where are you! I love guessing games! lol ! 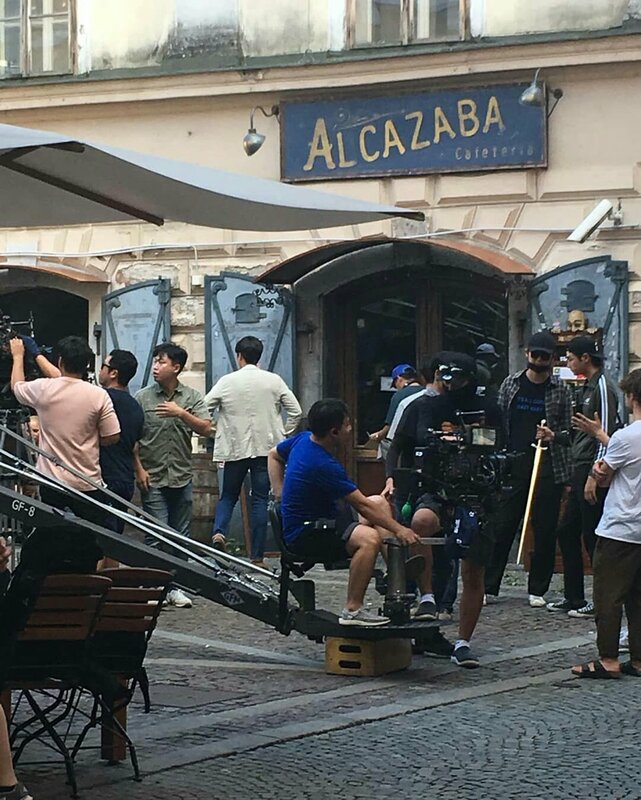 So Chanyeol didn't film in Solvenia with the rest of the cast .. means in the drama when they're there he will be somewhere else?! something happens to him? cuz we seen blood on his shirt when he was filming in Budapest? @JojoCx3...somehow, I feel we will not realise in some places where a particular part of the drama has been filmed specially when it’s indoors....simply because of similar setting, landscape etc of the places. So, If Chanyeol was not in Slovenia does not mean he will not be there. so many conjectures because of lack of drama related info. @maris1 Oh yeah I noticed that he was wearing the same clothes. I kinda like the fact that we don't know much about the drama to get it more excited for it. I bet they read our posts on this thread! Lol! Thank you MOA staff and cast.